The 11th U.S. Circuit Court of Appeals recently ruled against a lawsuit filed by the Equal Employment Opportunity Commission against Catastrophe Management Solutions, effectively ruling that refusing to hire someone because of their dreadlocks is legal. The lawsuit was filed by the EEOC on behalf of Chastity Jones, whose job offer was rescinded by Catastrophe Management Solutions, located in Mobile, Alabama. According to the case file, Jeannie Wilson, a human resources manager for CMS, commented on Jones’ dreadlocks during a private hiring meeting to discuss scheduling conflicts, telling Jones, “they tend to get messy, although I’m not saying yours are, but you know what I’m talking about.” Wilson told Jones that CMS would not bring Jones on board with dreadlocks, terminating the job offer. In their suit, the EEOC claimed that this was a violation of the Civil Rights Act of 1964’s Title VII, arguing that dreadlocks are a “racial characteristic” that have been historically used to stereotype African-Americans as “not team players” and as unfit for the workplace. 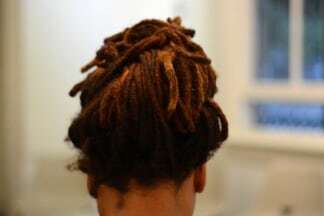 Therefore, claiming that dreadlocks do not fit a grooming policy is based on these stereotypes and inherently discriminatory, as dreadlocks are a hairstyle “physiologically and culturally associated” with African-Americans. The court of appeals disagreed, ruling that CMS’s “race–neutral grooming policy” was not discriminatory as hairstyles, while “culturally associated with race,” are not “immutable physical characteristics.” In essence, traits in a person’s appearance that are tied to their culture but are otherwise changeable are not protected and can be used to deny job offers. Title VII of the Civil Rights Act has been routinely interpreted by the courts to only protect against “immutable characteristics” and not cultural practices. In Garcia v. Gloor, the courts ruled against the plaintiff, arguing that being fired for speaking Spanish at work despite their employers English-only policy did not violate Title VII. Its only a white man that can create a perfect black woman ?